Workflow already makes your workday run so much smoother. Take the next step by implementing AutomationAgent, which can perform certain actions on sales documents automatically. 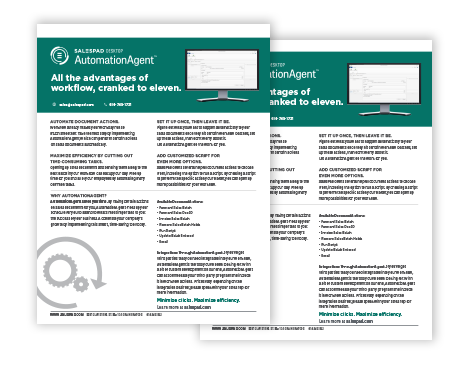 Learn more about AutomationAgent and how it can crank the advantages of workflow to 11. Download the fact sheet now to learn how it can make your workday run so much smoother. Learn all about AutomationAgent for SalesPad Desktop and see how it can help your business.